Question: Where is our altar today? A believer’s Sabbath table is one of the altars provided by יהוה . 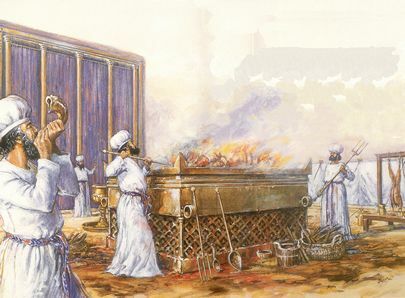 It is a gathering place to assemble before יהוה and have a sacred meal and enter into the Sabbath. The table symbolizes the charity and hospitality of the believer’s home, and also the teachings one transmits to one’s children and the example one sets for them. The Torah demands extreme vigilance in its upkeep. 10 And the priest will put on his linen garment and cover himself with his linen breeches and take up אֶת־ the ashes which have consumed the fire with אֶת־ the burnt offering on the altar has consumed and he will put them beside the altar. Discuss: Should you bring up a person’s old sins? Should you forgive him and speak of his sins no more?